GEFONT Gandaki Province has formed municipal level committee in various places of Gandaki Province . 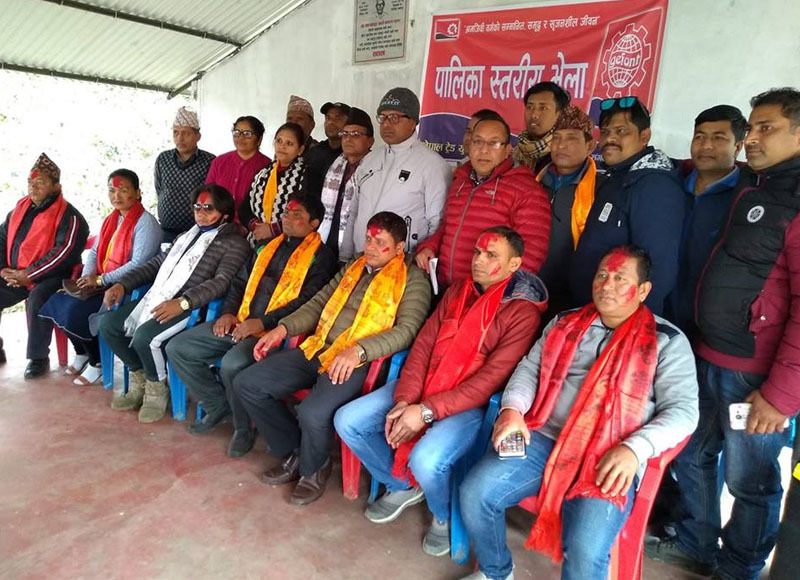 The gathering organized in Deuchuli Municipality has formed eleven member Deuchuli Municipality committee under the Presidency of Cde.Bidya BK . Similarly, first gathering organized in Gaidakot Municipality formed seven member committee under the Presidency of Cde.Hum Bahadur Gurung . Likewise, gathering held in Madhyabindu Municipality formed GEFONT Madhyabindu Municipality committee under the Presidency of Cde. Binu Gurung . Cde.Rudra Bahadur Khatri gave orientation to the new committee members.